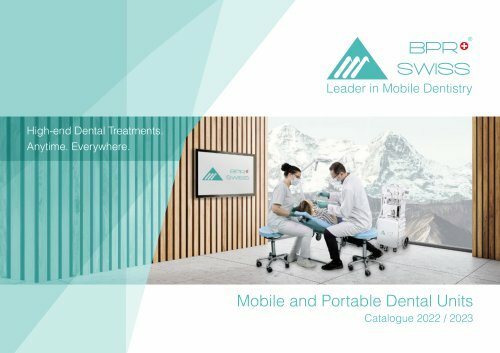 Portable dental units by BPR Unlimited mobility in elegant stainless steel Portable Experience perfect mobility due to easy transport and efficient setup and dismantling. High-quality Benefit from full performance due to the high quality of workmanship. Sturdy Enjoy the freedom of transporting and using your treatment unit in any type of setting. Adjustable Use all the functions that the dental profession calls for. These treatment units make it all possible.